“Earn money. But not only money”- My father. I hope this resonates your minds and echoes in your hearts everytime you come across something where money comes second. 1. You earn Respect. This world is ruled by money. But when you place your morals before money, people are forced to respect you. And respect is very hard to earn ! 2. Blessings. When you help someone they might not tell you how they feel. But God knows whats in their hearts ! The silent blessings are something we all need to overcome the biggest hurdles of Life. 3. Hope. You give hope to people who have given up on people, on humanity, who have given up on this world, who think the world has been overcomed by power and money. You give them hope that goodness still prevails ! Thank you so much Sumit. I Eagerly wait for your comments !! You have told the truth. Earning money is very important but only money earning won’t lead us anywhere. We can live in a house of glass, but to continue living there we need blessings and love and respect! When I got my application for medical school accepted, this was the only thing my father told me, since he is also a doctor. Doctors are there to help people. Unfortunately we have equated it with money making. I have seen people associate us with gods. But we are as much humans as anyone else ! Its our job to help people. So when they place such big powers within us, it becomes a responsibility to not let them down. And this is applicable to everywhere and everyone when people look upto you. You have to prove them right. And so I’ll again say that money is important, without a streak of doubt, but it is not the only important thing. Thank you so much Pawan for stopping by and giving this a read ♡ Have a good Sunday ! The whole purpose of us is serving and once we know this, ego drops and we then create a beautiful world. Once we see no difference between us and others then love and compassion flows. Love is our nature somehow we lost it in the crowds. Your message is just so beautiful and deep lesson. And the way you think is the reason why you are such a beautiful soul. Blessed to have come across your blog and got to read your thoughts. Thank you for been you. 🙏. Wish you a beautiful lovely Blessed Sunday. Awww I don’t know any poses yet lol but going to Rishikesh on 5th March for first ever experience of it… Not expecting much but maybe wish life blesses me with a few lessons. Yoga is 99% practical and 1% theory. And one day with practice maybe I will be able to flow and my body and I talk and laugh and smile. Only thing I learnt till now is never take the body for granted. It is a wonderful blessing and only instrument to take us to experience life. Stretches here and there needed so that it is not Rigid. Sounds like your father was a wise man. What we “earn” or work towards, must include more than monetary wealth if we are ever to achieve happiness. Yes My father is a wonderful and a very wise man. My father has treated a lot of his patients without even charging them, whereas his counter parts are charging double of what he does and some are even using the pain and suffering of the poor as money making business. Me and my brother had a very modest upbringing. We were always provided the essentials. Our parents never deprived us of anything. My parents fulfilled all are wishes but they also made sure that me and my brother were made to go through the pain and difficulties of people beneath us in monetary terms. So even now when I have a year left in becoming a doctor, I have made a plan to set one day a week, where Ill treat poor patients for free. I’ll always be grateful to my father for teaching me this. And I shared it with the world in the hope that my readers find it inspiring and encouraging and also thoughtful. Can I add one? We can earn love too, yes? Thoughtful post. Fun engaging in this analysis of it. I met you at Jason Cushman’s Meet and Greet, so I came to meet and greet you. Maybe check out my blog if you could use any blogging tips. That’s what I write about. Yeah Janice I totally agree with what you said. Love is all we need. And mind you, Love has many advantages and the love makes us stronger and confident! And I guess Dear Janice, you have mistaken me for someone else. 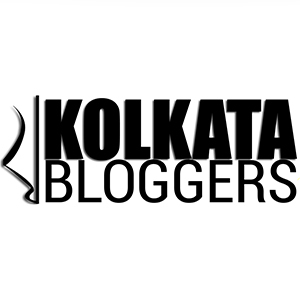 I’m a blogger from Calcutta, India. Ill surely read your blog Janice and I’ll love if I get to learn something from you. I read your blog Janice. And I loved your writing. Can I reach out to you on Facebook for a few queries? Because I don’t see the comment option there. Alternatively you can reach out to me on facebook. My name is Tajwarr Fatma. Other people are commenting on my blog articles. Can you send me the link of an article without a comment box at the bottom? Thanks. Thank you so much Dear Victor. You have no idea what this means to me. Thank you so much for reading my blogs and nominating me. Thank you Victor again ♡♡ You have made ne happier. This is my first nomination. And I hope I continue writing blogs and I also hope that you do read them. You deserve it. Of course I’ll read them…you’re welcome. I showed it to my father and he was really glad to have been acknowledged by someone like you ! Thank you so much for taking out time to read my blog. I hope I continue to write more of such blogs, and I hope you’ll like it.